Size 8 is among the leading gospel singers in Kenya after she saw the ‘light’. DJ Mo’s better half celebrated her birthday on the same day she was supposed to travel in the UK. Her birthday was on Tuesday and despite her pregnancy she had to enjoy her happy day. It all started with DJ Mo sharing warm birthday wishes his wife. All was super cool and you could fill that love was ruling the air. 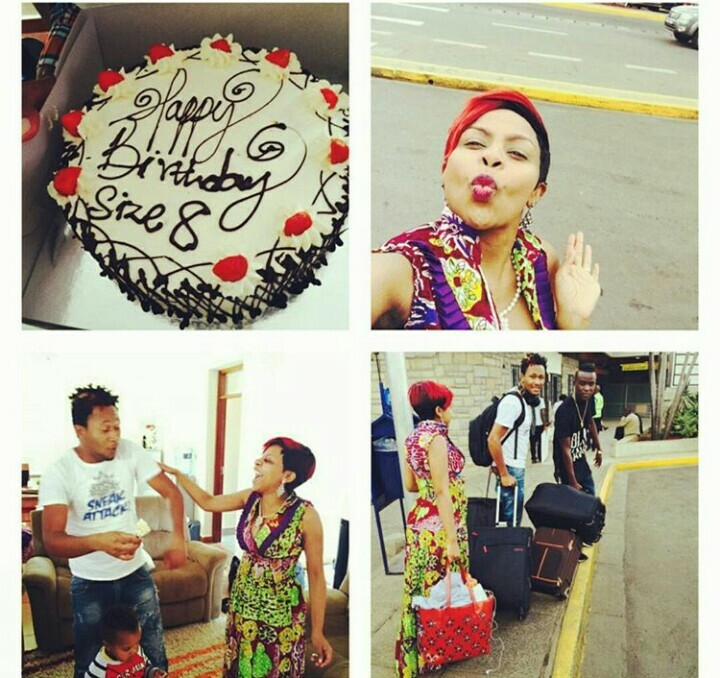 Size 8 and DJ Mo’s fans were not left behind as they took part in sending heartfelt and touching birthday messages to the sassy gospel singer. DJ Mo decided to organize a small celebration to appreciate his princess and also marking another year in their long and tough marriage journey. That was such a good day…… Smiles thanks @djmokenya baby for everything.